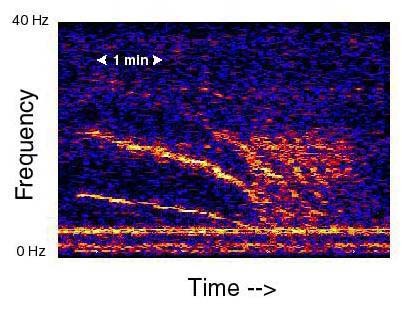 Spectrogram of an unidentified sound, referred to as "Slow Down." The recorded signal has been sped up 16 times. Image courtesy of Sounds in the Sea 2001, NOAA/OER.